This book presents a rethinking of the world legacy of Mahatma Gandhi in this era of unspeakable global violence. Through interdisciplinary research, key Gandhian concepts are revisited by tracing their genealogies in multiple histories of world contact and by foregrounding their relevance to contemporary struggles to regain the ‘humane’ in the midst of global conflict. The relevance of Gandhian notions of ahimsa and satyagraha is assessed in the context of contemporary events, when religious fundamentalisms of various kinds are competing with the arrogance and unilateralism of imperial capital to reduce the world to a state of international lawlessness. Covering a wide and comprehensive range of topics such as Gandhi’s vegetarianism and medical practice, his successes and failures as a litigator in South Africa, his experiments with communal living and his concepts of non-violence and satyagraha. The book combines historical, philosophical, and textual readings of different aspects of the leader’s life and works. 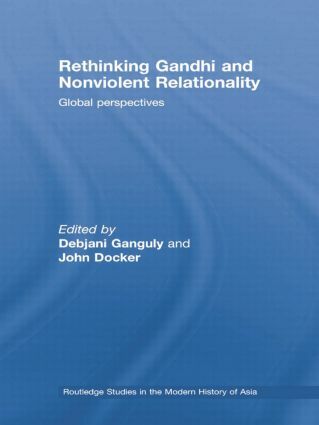 Rethinking Gandhi in a New World Order will be of interest to students and academics interested in peace and conflict studies, South Asian history, world history, postcolonial studies, and studies on Gandhi. Josephus: Traitor or Gandhian avant la lettre?